Driving in foggy conditions can be challenging as your headlights may reflect light from the fog. However, upgrading your fog light bulbs or installing aftermarket fog lights can increase your visibility dramatically. The best LED fog lights are the Philips X-tremeVision Kit, which is a direct replacement for halogen bulbs and produces a 6,000K bright white light output. You can purchase fog lights that output light in a range of different colors but it is important that they are street legal. Some states will specifically define that you are only allowed to use either an amber or white color. 7.1 How Do Fog Lights Work? Many people will modify their headlights to use LED headlight bulbs but often forget their fog lights. Matching the light temperature with a set of LED fog lights can make a huge difference in both your vehicles appearance and visibility on the road. However, not every vehicle will come with fog lights at the front of the vehicle to place the new bulbs into. Therefore, you will be required to install aftermarket fog lights that you can place beneath your headlights. Below is a list of the best fog lights that will improve your visibility during foggy driving conditions and can be installed fairly easily. Philips are one of the biggest brands in the automotive bulb industry and the X-tremeVision Kit is one of the most highly rated available. They are a direct replacement for H8, H11 or H16 halogen bulbs when using the provided adapter. Philips are known for using the latest in technology and it is no different with the X-tremeVision Fog Light Kit. It uses AirFlux technology that provides constant cooling to improve the longevity of the bulb. There is another clever mechanism called SafeBeam that directs the beam pattern to the road instead of other road users. Overall, they are the best LED fog lights that are a direct replacement to your factory lights. They are also backed by a 3 year limited warranty and developed by the leading automotive bulb manufacturer. LASFIT are another popular LED light manufacturer and provide a wide range of bulb types to suit all vehicles. In terms of installation, they are plug and play with a built-in ballast, which reduces the amount of space required to install them. Overall, they are great all-round LED bulbs for fog lights that provides excellent bright light and are available in a range of sizes. They are also very simple to install as they plug straight into your current adapter without any complex installation. For those looking for an affordable option, the JDM Star bulbs are ideal. They output the desirable 6,000K white xenon light and can even be used for daytime running light configurations. Unlike other cheap bulbs, JDM star even include a 1 year warranty for peace of mind. Overall, they are great all-rounders for the money but compared to the more expensive alternatives, they may not produce as much clear light output. However, if you are purely looking for LED fog lights for appearance purposes, these will do a great job with bright 6,000K white light. Rigid industries are known for their superior build quality from their range of LED light bar devices and much more. Their aftermarket fog lights follow that great reputation and have been designed, engineered and built in the USA. For those that will be using their vehicle off road or require additional durability, the D-Series is the best option. It uses an impact resistant polycarbonate lens and aluminum housing, which can both withstand a lot of punishment. Any Rigid Industries products come at a cost but you are paying for the build quality and superior materials used in the construction. Overall, they are the best aftermarket fog lights that can be installed to virtually any vehicle. HELLA are a reputable brand that produce a range of automotive lighting. The 500 series are aftermarket fog lights that uses a classic design to output bright light via 55W halogen bulbs. If the standard bulbs are not enough, you can upgrade them to another more powerful H3 bulb fairly easily. The HELLA 500 Series is ideal for those that require maximum durability for off road use but still street legal. The classic design looks great on the majority of the vehicle and you can even use a color shield to change the look of the lights. HELLA provide these in yellow, smoked or blue shades but must be purchased as an optional extra to the aftermarket fog lights. The purpose of fog lights is to improve your visibility on the road during poor weather conditions. Not every vehicle is equipped with them and this leads many people to install aftermarket fog lights to their vehicle, which is an easy modification to do. Of course, you can also upgrade your fog lights to a far more desirable LED or HID kit for improved visibility and aesthetics. To help you make an informed buying decision, we have produced the below buying guide regarding fog lights. Unlike standard headlights, the fog light beam pattern that is emitted is flat and wide. They are also located low down and allows the light to hit the road and not be effected by the foggy weather conditions, which can reflect off the fog. This also means that other drivers will be able to see your lights because they are not being reflected back. However, its important that you remember to switch off the lights afterwards because they can blind other drivers on the opposite side of the road. As with headlight bulbs, aftermarket fog lights are available in a wide variety of different types. These include different types of bulb types, housing and lens design. Most OEM fog lights will use basic halogen bulbs due to the low cost associated with them. However, they can be easily upgraded to an HID (High Intensity Discharge) bulb or the more desirable LED bulb. LED fog lights offer the best performance, efficiency, aesthetics and can last up to around 50,000 hours and longer. They also use the least amount of electricity draw and do not need an additional power pack unlike the HID alternatives. Upgrading your fog light bulbs is fairly straight forward with many LED fog lights having adapters that are plug straight in. 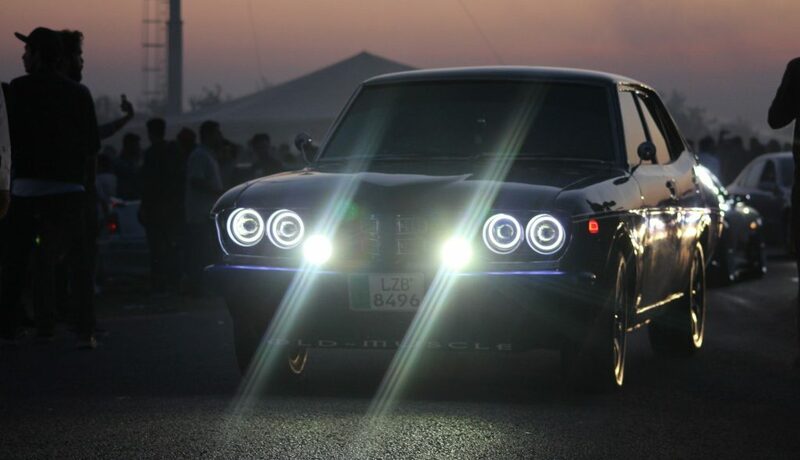 However, not every car or truck will have fog lights from the factory as they can be an expensive optional extra. If they are not a standard option, you can install your very own aftermarket fog lights. These can be mounted fairly easily to the front of your vehicle or you can try to mount them instead of your current fog light setup. Installation is fairly simple and is very similar to replacing your headlight bulbs. However, with regards to the aftermarket types, you will want to ensure that the kit comes with all the mounting hardware otherwise is can be fairly complex. You are able to purchase fog lights in a range of different colors but if they are street legal is a different matter. Some states specifically state that only amber or white light output is allowed whereas other state laws may differ. In terms of which color temperature is best for fog lights, it really is a matter of personal preference. Yellow light output provides clear vision in very bad fog due to the yellow tint being easier to view by our eyes than white. However, for average fog or remote locations, white LED fog lights are by far the best and look much better too. We are big fans of LED fog lights that output a 6,000K white light, which makes your vehicle look great as well as providing an improvement in visibility. Attempting to match the color temperature to your headlights (or other lighting) is highly recommended. Mixing different light outputs can look great on some cars or trucks but not on others where the lights are closely mounting together. Many off roading enthusiasts may equip their vehicle with LED fog lights that can be used for off road lights. However, not every fog light will be suitable to the heavy impacts and challenging conditions that will be required. For off road use, we highly recommend that the fog lights exceed an IP68 waterproof rating and use a polycarbonate lens that is scratch resistant. Investing into quality fog lights to increase visibility or improve appearance is highly recommended. There is a wide variety of bulbs or aftermarket types available to suit a range of budgets. However, we strongly recommend checking the warranty that the manufacturer provides. This will provide a good indication to the build quality and not leave you disappointed if they break earlier than expected. All of our recommendations are suitable for cars, trucks and other vehicles that require additional lighting. We advise that you use an amber or white light output so that you do not run into any trouble because other colors may not be street legal.